Recruiting, interviewing, onboarding, supervising, leading, and terminating employees seems to get more complicated each year. Then, in addition to these challenges, there are the issues of job satisfaction, performance, and burnout. If you are single, are you living with anyone? Do you have children? If so, how many, and how old are they? What church to you attend? Have you been hospitalized? For what? Have you ever been treated by a psychiatrist or psychologist? Have you had a major illness recently? How many days of work did you miss last year because of illness? Do you have any disabilities or impairments that might affect your performance in this job? Are you comfortable supervising men? What would you do if your husband were transferred? Do you think you could perform the job as well as a man? Are you likely to take time off under the Family and Medical Leave Act (FMLA)? What would your biggest fan say about you? Critic? Of what professional accomplishment are you most proud? Personal accomplishment? What, if any, processes did you improve in your previous position? Who was your least favorite boss and why? Most favorite and why? What is the most useful criticism you have ever received? What is the biggest work disaster you’ve been a part of? What role did you play? What did you learn? Looking back on it, what would you do differently? What do you like about the job and the organization? Do you have enough, too much, or too little time to do your work? Do you need more or less training on specific tasks? Which ones? Tell me what you don’t understand about your job and about our organization. Compare the organization to what we explained it would be like. Does your supervisor clearly explain what the organization expects of you? So, now, what about burnout? Burnout is that overwhelming feeling that life is out of control. It is usually a feeling of total apathy with an attitude of “I don’t care.” It is often accompanied by a sense of hopelessness, anger, and the feeling that you just want to quit. There are different types of work environments that appeal to different types of people. It is possible that the work environment you work in does not suit your style of work environment preference. Working in an environment that doesn’t exactly fit you can cause stress and burnout. One type of worker likes a work environment that is free from control and supervision and where there are many varied activities. They enjoy hard work and are motivated by challenges (problems), making decisions, and being their own boss. Give them the hardest project. Don’t tell them how to do the task. They like a good debate (argument)! An environment without these qualities could produce boredom and frustration, possible hostility, stress, and eventual burnout. To recover, this worker needs physical activities. He may go home after work and tear out all the kitchen cabinets and replace them, or dig up the flower beds and replant them, or go for a jog and race against himself. Whatever the choice, this worker needs an expenditure of physical energy. A second type of worker likes a work environment where there are lots of people and freedom from rigid schedules and details. This type is motivated by flexible hours and non-routine tasks, as well as the freedom to talk. This type does not do well sitting in front of a computer in an eight foot by eight foot cubicle all day. This employee needs plenty of opportunity to talk to people and to have reasons to physically be out of the office or, at the very least, be moving around. An environment without these qualities will likely result in low performance, complaining, tardiness, stress, and eventual burnout. To recover, this type will need some sort of social activity. He will stop off at the gym to work out with friends—never alone. Or, he will have a favorite “happy hour” hangout where he will talk with friends before going home. He often goes out to eat with others or has dinner parties and barbecues at home with neighbors. A third type of worker likes a work environment that is steady and routine, where there is sincere appreciation for work methods with proven results. This type is motivated when assured that some things are going to stay the same, or he will have time to adjust to changes in methodology. He is motivated by being included as part of a team; tell him what you want him to do and be specific. An environment without these qualities will likely result in silence, inflexibility, slow decision making, reluctance to start a project, stress, and eventual burnout. To recover, this type needs an undirected activity such as watering the plants around the yard, a quick nap, taking a leisurely walk, idly surfing through Facebook or Instagram, or some casual reading. A fourth type of worker likes a work environment where accuracy is stressed, or where he can maintain high standards and follow exact procedures such as are found in accounting, law, real estate, or insurance. This worker is motivated by having time to analyze or to make things better, faster, cheaper, or smarter, and by having their work acknowledged as being done “right.” Balance, symmetry, and a need to make things “look right” are important aspects of his work. An environment without these qualities will likely result in him becoming withdrawn, pensive (with frowns), more critical of others’ work, stressed, and eventually burned out. To recover, this type needs a cognitive activity, such as reading to study or learn something new. He is likely to mentally rearrange a workspace or a room full of furniture or mentally pack for a 10-day vacation. Once mentally visualized, he can do the real thing in record time. Be sure to take time to review your hiring procedures, but also remember to take care of your employees! They could be the most valuable assets you have in your company! *Excerpts from The HR Specialist, February 2019, published by Business Management Daily, Falls Church, Virginia. Betsy Barbieux, CAM, CFCAM, guides managers, board members, and service providers in handling daily operations of their communities while at the same time dealing with different communication styles, difficult personalities, and conflict. Effective communication and efficient management are her goals. Since 1999, Betsy has educated thousands of managers, directors, and service providers. She is your trainer for life! 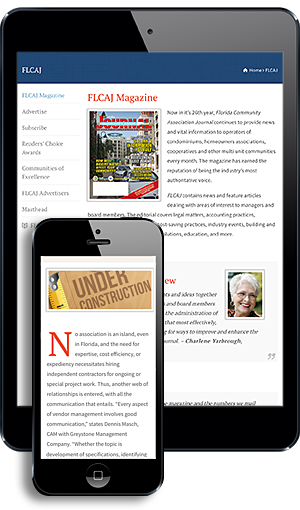 Betsy is the author of Boardmanship, a columnist in the Florida Community Association Journal, and a member of the Regulatory Council for Community Association Managers. For more information, contact Betsy@FloridaCAMSchools.com, (352) 326-8365, or www.FloridaCAMSchools.com.